Is the Sole Licensee to the world's only patent in the field of Tachyonized material testing! Government-backed proof that Tachyonized materials have an effect unlike anything else! When first discovered in 1990 by David Wagner, the words tachyon, Tachyonizationtm and Tachyonized were all abstract theories. Through years of diligent work, research and education, these complex theories have been legitimized and quantified and entered into mainstream alternative health care worldwide. Tachyonized materials have been proven to promote neg-entropy––a physics term which identifies the movement from disease, chaos, and disorder toward balance, health and order. In simple terms, Tachyonized materials promote rapid recovery and restoration of optimal biological balance that can generate radiant health. The US patent 7760357 is a groundbreaking achievement for humanity. This patent, as well as all the global research, provides clear understanding that Tachyonized materials are not frequency tools because subatomic tachyon particles have no frequency; they are the progenitors of all energy frequencies. 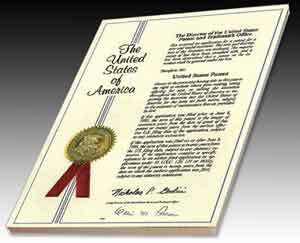 The power of this USA patent offers the users of Tachyonized material the absolute proof needed. This has significantly affected the product line of Advanced Tachyon Technologies. The US patent has firmly removed Tachyonized products off the fringe of science and squarely rooted its legitimacy as one of the preferred choices in alternative health, performance, agriculture, EMF protection, and cell phone protection––to name just a few of the many products offered. Unfortunately, Tachyonized products are still misunderstood by most. This leaves these remarkable tools on the outside of the mainstream market. Distribution and education has become a major objective of the company. The world needs to know about these remarkable, unduplicatable tools and products. This method of sharing has expanded the use of Tachyonized materials to 153 countries. Such global success has brought about numerous competitors who, unfortunately, make claims that their products are Tachyonized. Yet time and time again they have all been unable to prove their claim. Only ATTI's products have been scientifically proven to be Tachyonized. Today, under USA Patent 7760357, testing of individual or company products that claim to be Tachyonized can be scientifically validated or proven false. Since the discovery and commercialization of TachyonizedTM products by Advanced Tachyon Technologies International many companies are claiming their products have been Tachyonized.TM Materials that have been Tachyonized have demonstrated a range of beneficial properties to biological organisms and processes. However, those companies making such claims do so without any foundation or proof. The Tachyonization process provides a simple and rapid test method to confirm the authenticity of Tachyonized materials. 5698411 December 1997 Lucas et al. 5849513 December 1998 Jaffe et al. 2004/0170618 September 2004 Davis et al. Attorney, Agent or Firm: Sherman, Edward S.
1. A method of detecting and confirming the authenticity of Tachyonized material, the method comprising the steps of: a) providing the alleged Tachyonized material, b) providing a salt solution, c) placing a quantity of the salt solution on a substrate for microscopy, d) evaporating the solvent from the salt solution while the substrate is placed on or adjacent to the alleged Tachyonized material, e) observing an crystal morphology of the salt on the substrate for microscopy with a microscope, and f) comparing the crystal morphology of the salt on a substrate with that of salt crystallized in the absence of the alleged Tachyonized material. 2. The method of detecting and confirming the authenticity of Tachyonized material according to claim 1 wherein the salt solution comprises sodium chloride and the solvent is water. 3. The method of detecting and confirming the authenticity of Tachyonized material according to claim 1 wherein said step of observing the crystal morphology comprises illuminating the samples with polarized light and viewing the light transmitted through a polarizing analyzer. 4. The method of detecting and confirming the authenticity of Tachyonized material according to claim 2 wherein said step of observing the crystal morphology comprises illuminating the samples with polarized light and viewing the light transmitted through a polarizing analyzer. The present invention relates to a method of testing materials that have been Tachyonizedtm or otherwise at least claim to harness Tachyon energy for beneficial purposes. The benefits of TachyonizedTM. materials for holistic healing are disclosed in, among other sources, in "Tachyon Energy", by David Wagner and Gabriel Cousens, M. D., North Atlantic Books, Berkeley, Calif. 1999, which is incorporated herein by reference. Further, the theoretical basis for the Tachyon particle is described "The Physics of Tachyons", by Ernst L. Wall, Hadronic Press, Palm Harbor, Fla., 1995, which is incorporated herein by reference. "The use of Tachyonized products normally results in a natural detoxification, increased absorption of available vitamins and minerals, increased energy for physical activities, increased awareness of subtle energies, increased brain function, increased circulation, and exceptional improvements in athletic abilities and muscle recovery. When athletes use these products, they notice a significant decrease in fatigue, allowing for increased performance." Many commercial suppliers offer what are claimed to be Tachyonizedtm materials for sale. While non-biological effects of genuine Tachyonized material can be observed by such means as Kirlian photography, this takes time and requires expensive equipment. Accordingly, there is a need for a rapid and simple test for medical practitioners and consumers that distinguishes genuine from counterfeit Tachyonized material. Further, to the extent new inventions, discoveries and improvement are made in methods of Tachyonizing materials, there is a need to provide a test method to confirm the efficacy, quality and yield of such methods. Thus, it is an object of the present invention to provide such a test method. In the present invention, the object is achieved by a method comprising the steps of providing an alleged Tachyonized material, providing a salt solution, placing a quantity of the salt solution on a substrate for microscopy, evaporating the solvent from the salt solution while the substrate is placed on or adjacent to the Tachyonized material, and then observing the crystal morphology of the salt on the substrate for microscopy with a microscope, the observation being made relative to salt crystallized in the same manner but in the absence of the alleged Tachyonized material. The above and other objects, effects, features, and advantages of the present invention will become more apparent from the following description of the embodiment's thereof taken in conjunction with the accompanying drawings. FIG. 1 is a black and white line drawing depicting the salient features observed in polarizing microscope image of a control sample of salt evaporated without the inventive treatment. FIG. 2 is a black and white line drawing depicting the salient features in a polarizing microscope image of salt evaporated with the inventive treatment. In accordance with the present invention, the following tests were performed to demonstrate that genuine Tachyonized materials can be distinguished from substitutes. First, 20 drops of reverse osmosis purified water was placed in a sterile Petri dish. Then about 10 small sodium chloride crystals (ACS reagent grade) were mixed with the water until completely dissolved. 10 clean sterile slides were set aside for evaporation tests, with 5 marked as control and 5 as the test material (T). From the same source Petri dish, one drop of the above salt solution was removed and then placed on each of the 10 clean sterile slides. The "T" labeled slides were immediately placed on a Tachyonized TLC Bar that was 4 inches in diameter that was obtained from Advanced Tachyon Technologies of Santa Rosa, Calif. (SKU TLC-M). Similar results were obtained with the SD-U4 ultra disk from the same source. The 5 control slides were kept at least 70 feet away from the Tachyonized material. Once the water had completely evaporated, the slides were viewed in an orb polarized light microscope in transmission mode and representative photographs were then recorded, and are described below with respect to FIG. 1 and FIG. 2. FIG. 1 is a black and white line drawing to schematically illustrate the salient and representative features observed in an actual micrograph of a control sample. These control conditions result in large salt crystals generally having a double pyramid crystal habit shape well dispersed on the slide, having a size range of from about 100 microns to about 200 microns. FIG. 2 is a black and white line drawing to schematically illustrate the salient and representative features observed in an actual micro-graph of salt crystallized while exposed to the Tachyonized materials described above. The micrograph was taken at higher magnification, as the large salt crystals observed in FIG. 1 were not present and do not form when crystallization occurs in them after this treatment. Only a portion of the actual micrograph is depicted, as it was difficult to obtain a greater portion of the field in sharp enough focus to accurately depict the characteristic features. These features are a dendrite crystal micro-structure of much smaller poly-crystalline aggregates. The dendrite branches have a diameter of about 5 microns or less. Further, it should be noted that this micro-structure can also be observed in the control samples of FIG. 1 when viewed at higher magnification between the larger salt crystals. Thus, the distinctive feature of the crystallization of salts in the presence of a Tachyonized material is the absence of larger salt crystals having a regular crystal habit. In observing the crystallization process in the presence of Tachyonized materials it was also observed that as water evaporates the larger crystal appear to nucleate but then dissolve or disappear before evaporation is complete leaving behind only dendritic structures such as that shown in FIG. 2. The absence of the large salt crystals in such comparative evaporative tests of salts identifies the genuine Tachyonized material as the substrate whose presence during crystallization precludes the formation of the large salt crystals that form in the Tachyonized materials absence. Not wishing to be bound by theory, it is believed that Tachyonized materials may disrupt ionic bonds between oppositely charged ions before they can become bound into crystals during the crystallization process. While the invention has been described in connection with a preferred embodiment, it is not intended to limit the scope of the invention to the particular form set forth, but on the contrary, it is intended to cover such alternatives, modifications, and equivalents as may be within the spirit and scope of the invention as defined by the appended claims. For example, based on the above findings it is believed that the test method can be carried out with other inorganic salts than sodium chloride, as well as mixed inorganic and organic salts. It will be apparent to one of ordinary skill in the art that range of test material can be readily expanded without undue experimentation, as the test method disclosed herein is very simple and rapid Likewise, while the use of polarized light microscopy facilitated the observation of the sodium chloride salt crystals of different morphologies, other forms of optical microscopy and electronic microscopy may be deployed, as will be evident to one of ordinary skill in the art depending on the type of crystalline substance deployed as the test material.